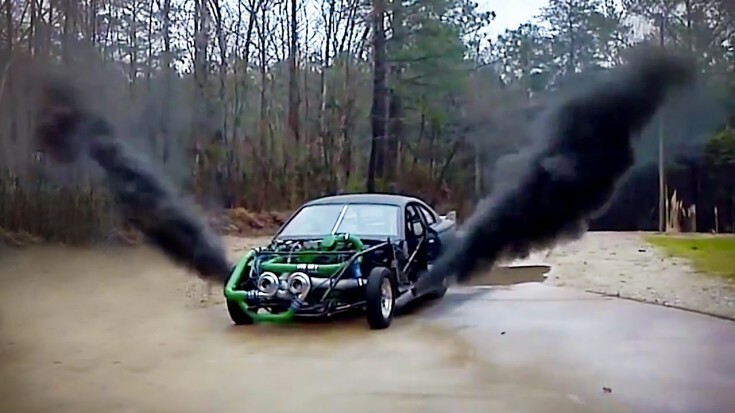 Top Ten Rolling Coal Diesel Cars Of All Time Are The Total BOSSES Of Black Smoke Insanity! Wikipedia explains “Rolling coal” as: the practice of intentionally disabling the Clean Burn Programming of a computer controlled diesel engine, so that the vehicle can emit an under-aspirated sooty exhaust that visibly pollutes the air. You can insert a Volkswagen joke in the comment section but no this video was not invented by their dishonesty about their “clean” diesels, and no this it was not sponsored by them either. Understanding that a Greenpeace activist will probably have a heart attack after watching the video, we would like to assure them these are probably still cleaner then a VW. Here are the top 10 coal rollers in a video. 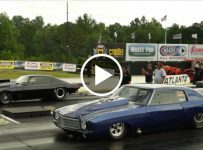 Amongst them you will find a chimney-toting 385-horsepower Mercedes C250TD, a 20PSI boosting 1982 Volvo 245 Turbo Diesel Wagon, a 1000RWHP Dodge Ram a “Cumstang” (Cummings swapped mustang) and a few other heavy smokers. Check out the video and don’t forget, VW is the topic.